Ate Vi Leads List Of Winners As New Lipa Representative, Who Else Won And Who Lost Among Our Stars In The Recent Elections? WHO ARE THE showbiz people who won in the elections? First, there’s Vilma Santos who, after being mayor of Lipa and Governor of Batangas, is now the new congresswoman of Lipa. At long last, Richard Gomez finally won after failing several times before. He’s now mayor of Ormoc City. As representatives in congress, those who won also include Alfred Vargas in QC (unopposed), Yul Servo in Manila, Monsour del Rosario in Makati, Lucy Torres (re-elected in Leyte 4th district). Former beauty queen Yedda Marie Romualdez in Leyte 1st district. As mayor, Herbert Bautista is reelected in QC, Erap Estrada in Manila, Lani Mercado in Bacoor, Guia Gomez in San Juan, while Cristina ‘Kring Kring’ Gonzales won in Tacloban, replacing her husband Alfred. 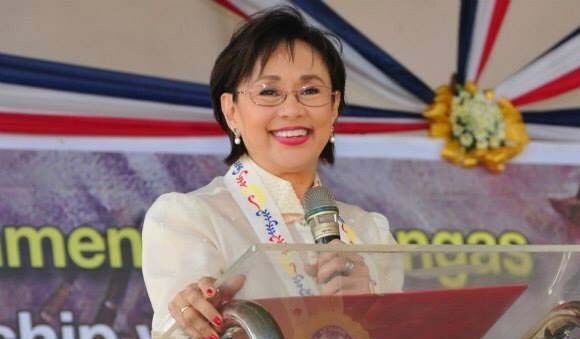 As Vice Mayor, Andrea del Rosario won in Calatagan, Batangas and Janella Ejercito in San Juan. As Vice governor, Daniel Fernando won in Bulacan (defeating Phillip Salvador) and Jolo Revilla in Cavite. Those who lost include Ronnie Ricketts as congressman in Muntinlupa, Jeremy Marquez as vice mayor in Paranaque, ER Ejercito as Laguna governor, Gary Estrada in Quezon province. As councilor, Vic Sotto and Coney Reyes’ son Vico won in Pasig while his cousins Gian and Lala (kids of Sen. Tito) won in QC, Jhong Hilario and Rico Puno in Makati, Hero (brother of Mayor Herbert) in QC, brothers Anjo in QC and Jomari and Ryan Yllana in Paranaque, Vandolph Quizon in Paranaque, Charee Pineda got reelected in Valenzuela, Robert Ortega in Manila, Roderick Paulate in QC. Congratulations to all those who won. As for those celebs who lost (including Anthony Castelo, Dan Alvaro, Allan Paule, Lance Raymundo, Inday Garutay, Johnny Revilla, Tates Gana, Hubert Webb, Azenith Briones, Long Mejia), there's always a next time.